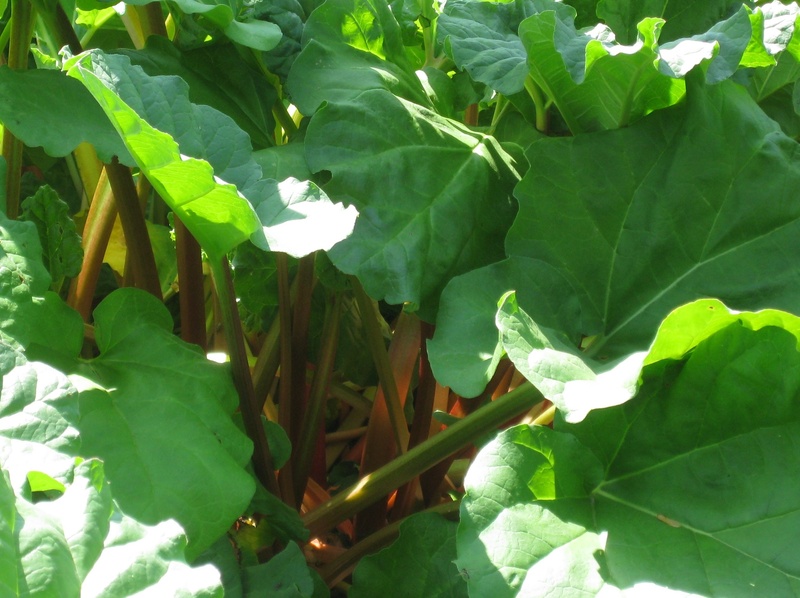 I always like to see how things grow, so as soon as rhubarb season arrived, I rushed out to a local farm to check out the rhubarb patch. What I really wanted to know is how big the plant gets and how closely they can be planted since I have ambitions to plant some in my yard. The stalks exhibit what my artist husband calls the “red-green color problem,” an intriguing array of complementary colors that are both subtle and stunning. 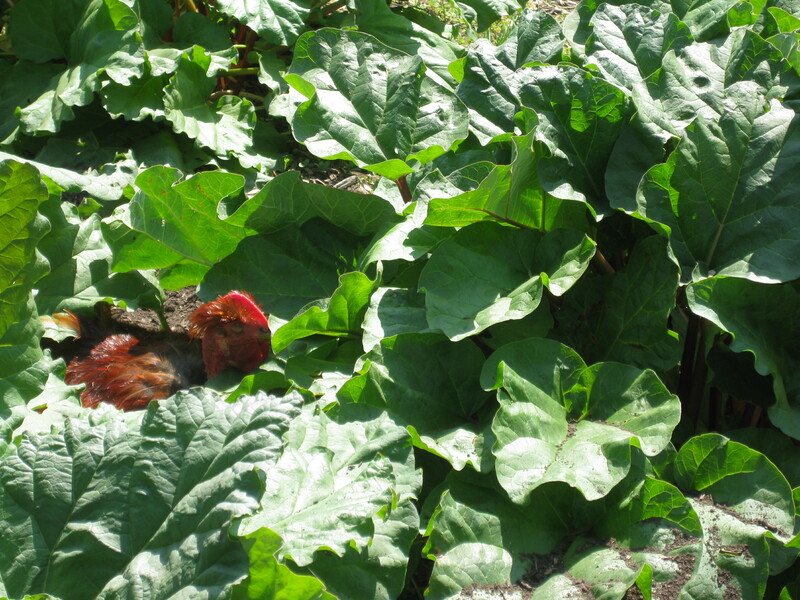 But here, the color problem expanded: among the gigantic green leaves, was a little red hen sitting on her eggs. 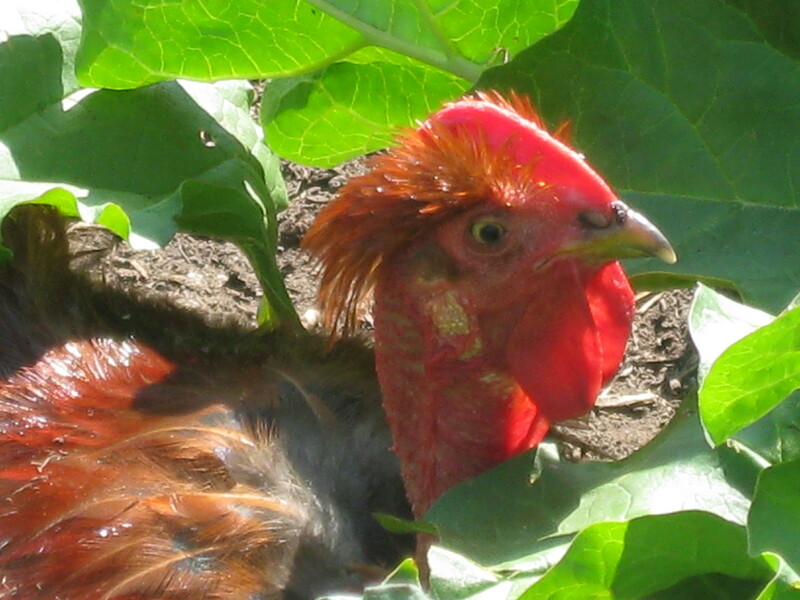 I certainly didn’t intimidate her as she let me know she wasn’t budging. 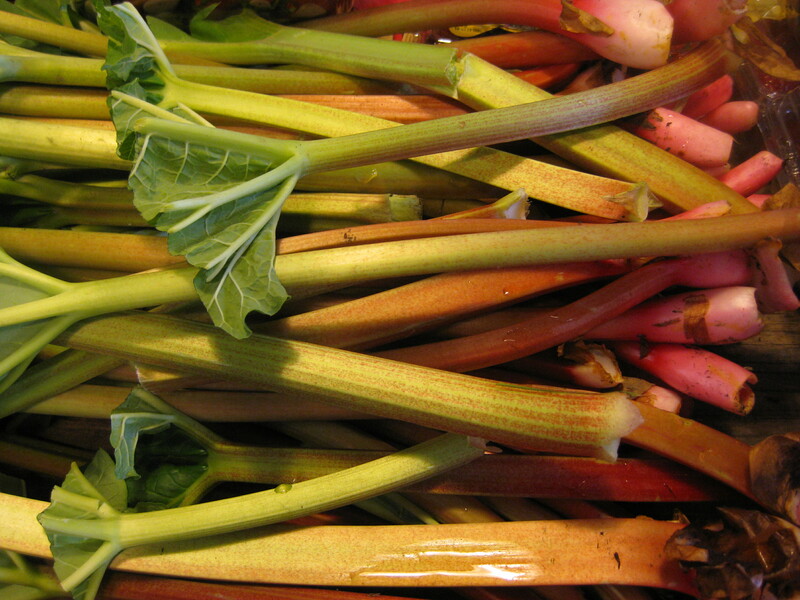 So I had to go into the farm stand for my season’s supply of rhubarb for cooking and canning.